The horse care products I love the most all have three things in common; affordable, natural, and good for my horses, inside and out. This makes oats an easy favorite! I use oats for daily feeding, in special treats, and as the not-so-secret ingredient in a soothing homemade shampoo. It’s perfect for horses prone to itchy or dry coats, manes, and tails. 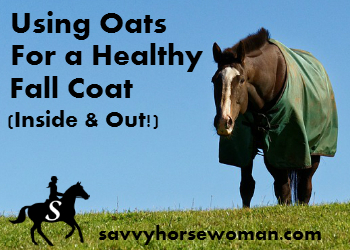 Here’s how (and why) I use oats for a healthy fall coat. digestive problems such as colic. 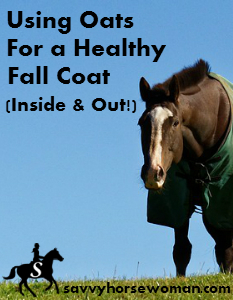 A healthy horse means a healthy coat! minutes, or until crisp. Let cool completely before feeding. This DIY shampoo recipe is a favorite of mine, and as an added bonus, is great for removing stains! Mix in a large container and store in the fridge for up to two weeks. Shake before use and massage into your horse’s wet coat (or mane and tail). Let it sit for a few minutes then rinse thoroughly. 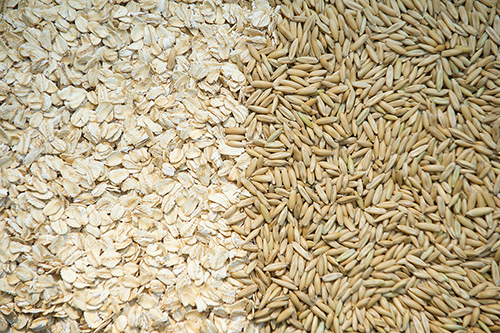 more information on the goodness of oats and how they can benefit your horse. 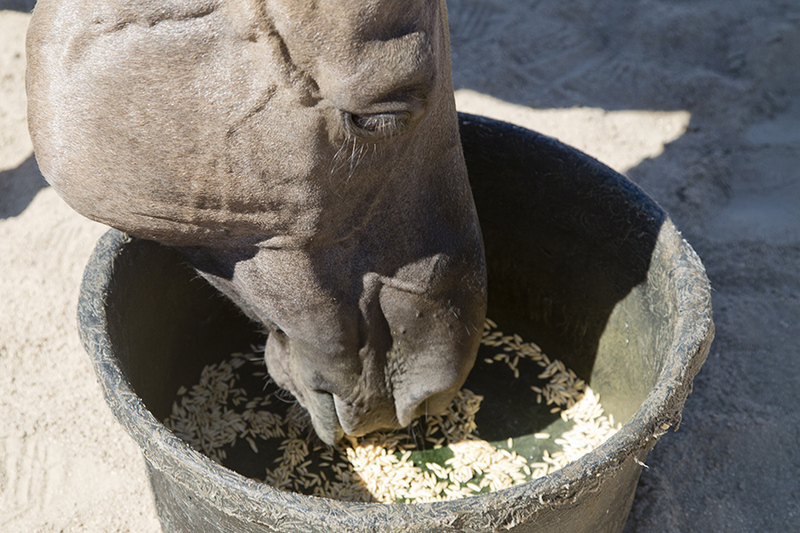 How many days do you have to feed your horse the treats until they expire? Can you use crimped oats? What size should the treats be for baking…rounded tsp or tbs? Thank you.